The ruling North Korean Workers' Party is not likely to abandon its ballistic missile tests, on the contrary, the party pledges to strengthen country's protective capabilities in case the US builds up pressure on Pyongyang. TOKYO (Sputnik) — North Korea’s ruling party said Friday it would not give in to the pressure from the United States to halt ballistic missile tests after Washington and its allies called a UN Security Council meeting. 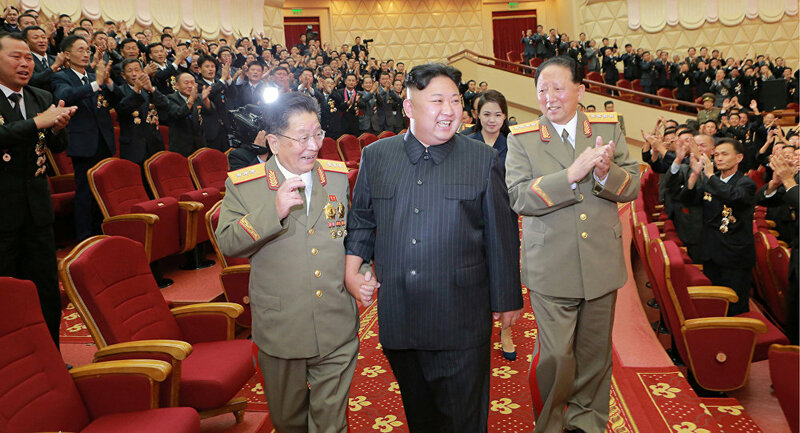 "If the US continues to ignore our sincere advice the Republic will respond by ratcheting up its protective measures," said the Rodong Sinmun, which is the official newspaper of the Central Committee of the North Korean Workers' Party. The Unite States, South Korea and Japan called for the UN Security Council to meet behind closed doors on Friday afternoon in response to the morning launch by the North of what the Pentagon says is an intermediate-range ballistic missile. It flew over Japan’s Hokkaido and plunged into the Pacific. South Korea’s Foreign Ministry has described the test as a serious challenge to global security, while US Secretary of State Rex Tillerson called on China and Russia to take "direct actions of their own" to tackle the North’s "reckless" missile launches. Russian President Vladimir Putin said at this month’s BRICS summit in China that dialogue was key to ending the missile crisis as North Koreans would rather "eat grass" than give up their nuclear program for fear of safety. Japanese Foreign Minister Taro Kono said earlier in the day he would sit down to the negotiating table with Pyongyang once it "shows signs of denuclearization" and urged to pile maximum pressure on the reclusive communist state.